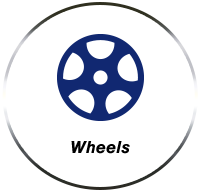 We have passenger and light truck tires as well as commercial tires. Our selection includes tires from MICHELIN®, BFGoodrich®, Uniroyal®, and other major brands. 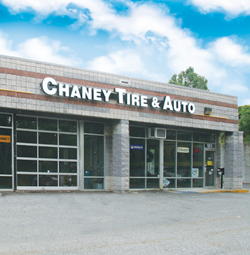 For close to 20 years, Chaney Tire & Auto has been providing residents of Maryland with quality auto service and great deals on name brand tires. Now with locations in Clinton MD, and Annapolis, MD, we're more accessible than ever with the ability to service more vehicles. We also serve the entire Bowie, MD area. Our certified mechanics provide full auto repair services, as well as tire and wheel sales and service. Our ASE Master Techs are on hand to take care of all your auto service needs. Stop by and see us today! Remember to follow us Facebook and if you've had a service completed at one of our locations, let us know how we did by leaving a Google+ review! Click here to start saving money! Check back to see our latest specials, promotions and rebates we are currently offering.